Satisfaction is an item of deep desire, lust, craving. Each of us seek a way to satisfy our own needs day by day, yet not being fulfilled. Something is missing, there is a hole, a "don't fit in". Desperation, heartache, pain. Words, decision, mistakes. No autocorrect, no backspace, no delete. Only drifting further and further away from happiness. There was a man - who wasn't only a man - The Lord of Lords, King of Kings, The Messiah. He taught us how to live our lives and he taught "PEACE, BE STILL!" He was the world's greatest conqueror. Yet he ruled no nations. Never raised a sword. He won victories no one else could. He defeated death. He conquered sin. He can calm troubled seas and troubled souls. 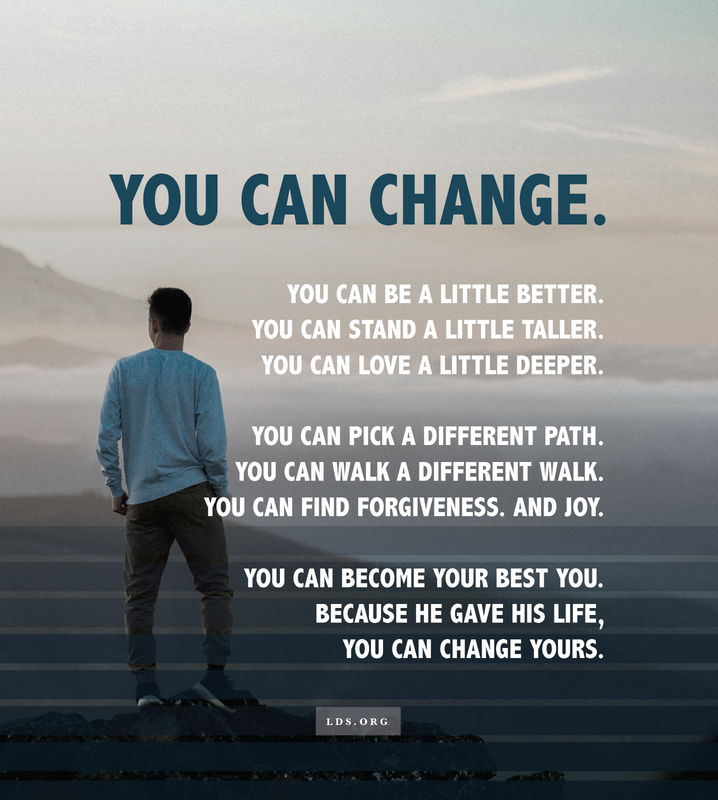 He can heal broken lives and broken bonds. Learn from Him! It is only through and with the Savior Jesus Christ that we can achieve lasting and true PEACE, learn more with the Prince Of Peace at www.mormon.org. The Savior also taught about service, find out opportunities to serve those around you and share this video with those you really care about. "When I think I have no worth or purpose on earth, I reflect on this story and the peace I felt from the Holy Ghost". Reflection is definitely a part of the gospel and it ties so much with the sacrament for me, because with it we can do a soul-searching self evaluation that will help us to progress and to became better. By reflecting we will realize if we have been to much acted upon and to little actors in our life sketch. With this process it is easier to see how much of our comfort zone are we living in. 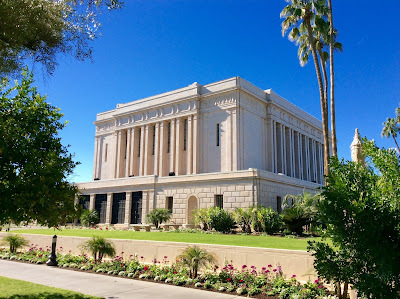 Visitors Center and Temple - This last week as we were walking around the Mesa Temple and it's Visitor's center we notice many things that were reflected. At first the glass on the very front of the Visitors Center the statue "Christus" had light enough to be able to break through the outside reflection of the park, as you can see on the picture. This brought me many thoughts of action and reaction and also what I do today will reflect in my future tomorrow. The temple also has a reflection pool which obviously reflects the temple's image but at the same time helps me to think of actions here reflect in the afterlife and also a place where you can reflect about your life. I invite you to think of how you can reflect on your life and how will your actions now reflect on your future here on Earth and on your afterlife. Have you ever asked yourself what is the Sabbath Day? I wrote all these things but I never explained much about what are the basics for Sabbath day observance. The very focus must be Jesus Christ and His Atonement, followed by our baptismal covenant to always remember Him. We attend church so we can partake of the sacrament and also enjoy the fellowship of the saints. I enjoy the fast Sundays that happen once a month and that we have a chance to share our testimony or on regular Sundays when members of the congregation give talks. In Sunday School and in priesthood Meeting or Relief Society we are instructed and edified and we learn how to keep a Christlike conduct and lifestyle, we learn how to became more like Jesus. After church we try to spend time by fulfilling our callings, family and friends - continuing the focus on the Lord. 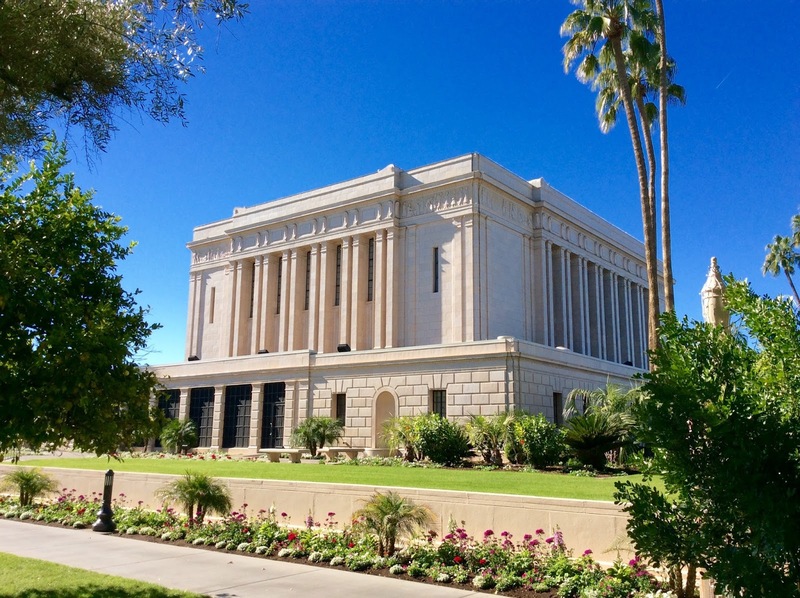 Several suggestions are made but there isn't a list of dos and don'ts in the Sabbath, we can mention writing to missionaries, genealogy, family history work and indexing. Also a good way to reflect on your week could be to write on your journal about how you have seen the Lord's hand on your week and also ponder and meditate things you want to improve for your next week. The word Sabbath comes from a Hebrew word meaning rest. Before the Resurrection of Jesus Christ, the Sabbath day commemorated God’s day of rest after He finished the Creation. Now the Sabbath also commemorates the Resurrection of Jesus Christ. “Remember the sabbath day, to keep it holy” (Exodus 20:8). This is not only a day of rest, but it is also a day of active worship. On the Sabbath, Jesus did His Father’s work as He healed the sick and attended to the needs of His disciples. As we strengthen the quality of our worship on the Lord’s day, we will find that Sunday truly is a day of rest, not just for the body but for the soul. Our Sabbath-day behavior is a reflection of our commitment to honor and worship God. By keeping the Sabbath day holy, we show God our willingness to keep our covenants. Each Sabbath day we go to the Lord’s house to worship Him. While there we partake of the sacrament to remember Jesus Christ and His Atonement. I invite you to learn more about this commandment of God and start living it! As you do so I can promise that you will feel more peace in your life, you will have the Holy Ghost to be with you and you will enjoy more understanding of His plan for you. Click here and find where is the closest LDS chapel to you! Scriptures: 3 Nephi 18:1–25; D&C 59:9–15; Exodus 20:8–11; Exodus 31:12–17 & Isaiah 58:13–14. Talks / Excerpts from books: Gratitude on the Sabbath Day - By President Henry B. Eyring, Oct 2016. "And Why Call Ye Me, Lord, Lord, and Do Not the Things Which I Say?” - Elder L. Tom Perry, Oct 1984. Work more on "to be" instead of "to do". Without the possibility to checkmark you can make sure to keep daily track of who you are becoming - you have the chance to do a self inventory and see how you are improving in order to become who Heavenly Father expects you to become. Repentance is real - this seem like cliché but it is not. The greatest thing that we can witness in our mission is to see people change. Not only in others but in yourself. It starts by changing behavior with effort, time, and the enabling power of the Atonement of Jesus Christ. Creating a relationship with the Savior - I am so glad I decided to come on a mission. I know you surely can develop a relationship with Christ without being a missionary, but personally this experience gave me the chance to come to know who He is and who I can become because of Him- by being a missionary I can understand more about my Savior. The work of Salvation is rewarding, fun, and great! This is something that took me a few months to understand - when we first leave our homes we go to the missionary training center and everything is great. There is a little bit of home sickness, but everything is okay. Once we come to the mission field we are by ourselves with our companion, and things get different, more difficult, etc - at the same time, as we keep trying, day by day, we can start seeing the tender mercies from Heavenly Father. We experience extremes: the most joy you have ever felt in your life and the most sadness. As the months go by you can see the seeds planted and the fruits of your work and specially who you are becoming and this is just awesome. Arizona has THE best sunsets and sunrises ever. I have never seen so many gorgeous sunsets. Seriously, day after day they are great, and it happens so often that it becomes easy to take it for granted. Trust your mission president - This is definitely something that I've learned a lot. Our mission president is called of God to help us, and he also presides over the work in the mission. 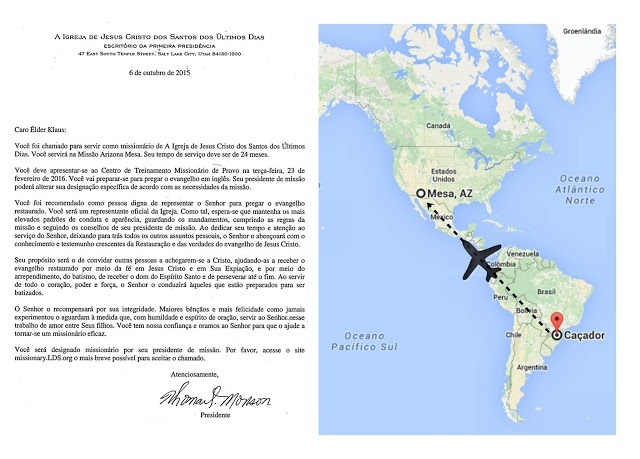 Every week we have the chance to write to him, and we also are interviewed by him often. We can trust him and ask for his help! Personally, I have developed more confidence in the priesthood leadership since I have had the chance to receive orientation from him. Lesson learned! The Gospel of Jesus Christ, or the Doctrine of Christ, is a pattern of living. It is not only about a line that keeps going on, enduring to the end, but a cycle. It is an eternal circle of daily faith in Jesus Christ, repentance, baptism and the gift of the Holy Ghost (or the sacrament), and enduring to the end. This doctrine is the very focus of the Book of Mormon, and that's why it had the fullness of the gospel. Because it teaches us the doctrine of Christ. How to achieve happiness in this life and Salvation in the world to come. Keep you eyes opened for the blessings and tender mercies - When you plan a whole day and several things don't go as planned, sometimes it is hard to stay motivated. The key I have learned is to focus on the good things, on the blessings, on the tender mercies. Many days all we have to do is to realize that we are in a great place. We have a visitors' center, clean water, and so forth. It is always a good day to be an Arizona Mesa Missionary. Another thing that I have learned is about priorities. We can think of them in different patterns: Essential / Necessary / Nice to do. Good / Better / Best. Try to prioritize or to handle your life, goals, missionary tasks. Once I've heard that a good way to think of it is to think of: "Things that matter most and things that last longest." I've learned: If you are waiting for a spiritual experience to happen you are wasting your time - we can't just wait for them to come, we must make a conscious effort to make it happen! I hope that these few words may help and bless your day! That we may center our lives on Him and His Atonement, we must remember to become more like him, act like him. Keep the primary hymn in mind help you to keep the focus: "If the Savior stood beside me, would you do the things I do?" In the moments of hard things and trials remember Alma 26:27 - "Now when our hearts were depressed, and we were about to ​​​turn​ back, behold, the Lord ​​​comforted​ us, and said: Go amongst thy brethren, the Lamanites, and bear with ​​​patience​ thine ​​​afflictions​, and I will give unto you success." 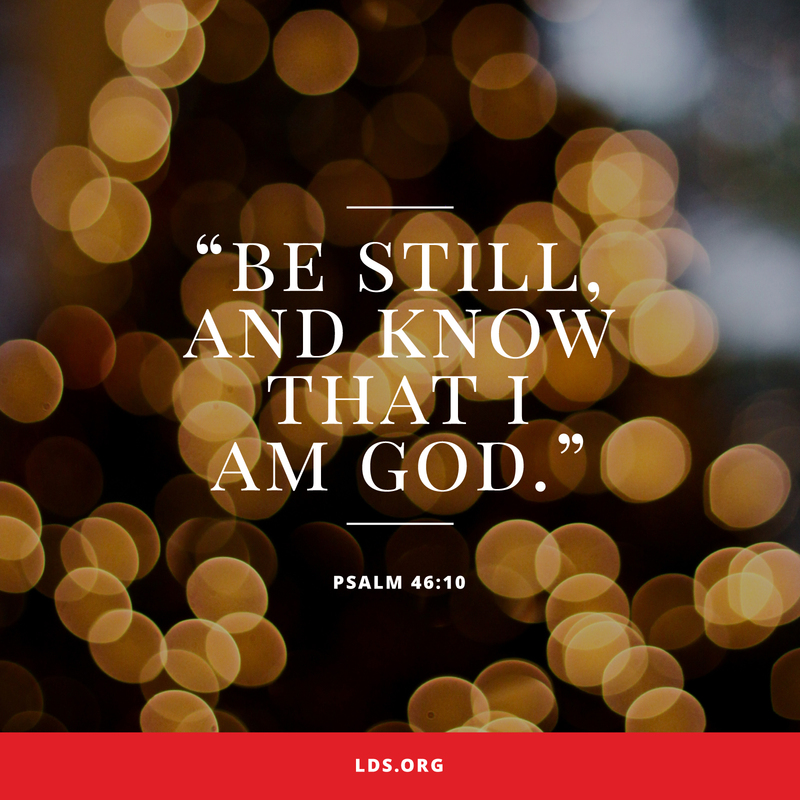 "Be still, my soul: The Lord is on thy side"
This is a personal story of how I have learned more about having peace, being still. 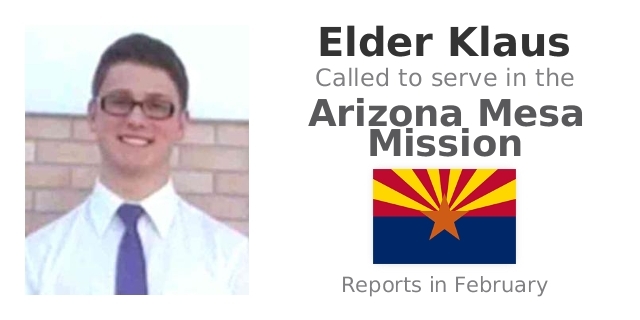 I received my missionary calling in October 2015 and my journey to get to the Brazil MTC started only in February 2016, a little under a year ago. This months were filled with anxiety and also much excitement to became a missionary. My way to the mission field was quite different than most of the missionaries. First I went to my home country MTC, after that I started my mission in São Paulo, Brazil as a visa waiter missionary. I served for 3 months and the VISA came, it was quite a challenge and experience to focus on the the work and forget about the VISA, especially when your friends let you know that one apostle just visited the mission you were called to. I've learned that "by small and simple things are great things brought to pass" (Alma 37:6); by small and simple means the Lord fulfill His promises, I soon learned that I needed to have that experience in São Paulo as well. When I came from Brazil to the US, my first stop was in Orlando, Florida. I have never been in an international trip before. After a 12 hours flight, even though lunch and dinner was served, I was considerably hungry. After landing and checking in my luggage to Phoenix I needed to look for my gate. Well, I talked with one of the airport agents and she instructed me to take the train and go to the other side of the airport and look for my gate number and I would be able to find it and so I did. After catching the bus I forgot I have checked in my luggage because everyone was with theirs and took me a few minutes to figure that out in my head. On the way a man told me that he had a friend that was a member of the church and that he went on a mission as well, I was very amazed with the amount of people calling by Elder and a few "Welcome Home!". We need to realize that a 10 year long problem won't always be solved in 10 minutes. 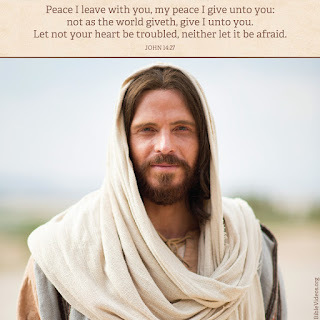 Depression, addiction, forgiveness or whatever the concern may be, we can not always assume that the healing power of the Atonement of Jesus Christ will mend our wounds in a matter of seconds. Preach My Gospel: A Guide to Missionary Service states "Patience is the capacity to endure delay, trouble, opposition, or suffering without becoming angry, frustrated, or anxious. It is the ability to do God’s will and accept His timing. When you are patient, you hold up under pressure and are able to face adversity calmly and hopefully. Patience is related to hope and faith—you must wait for the Lord’s promised blessings to be fulfilled." Just as the scripture reads in Ecclesiastes 3:1-2: "To every thing there is a season, and a time to every purpose under the heaven: A time to be born, and a time to die; a time to plant, and a time to pluck up that which is planted;"
The hymn "Be Still My Soul" brings me peace and inspiration, it reads: "Be still, my soul: The Lord is on thy side; With patience bear thy cross of grief or pain." It is manifested in my life that as I continuously follow the Savior, as I take time to ponder and pray, as I come to understand and feel the gospel and how it changes me that I gain a testimony and come to truly use the enabling power of the Atonement in my life. 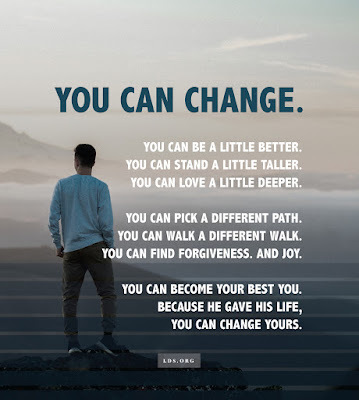 It is my personal testimony that each of us can do it ourselves, we can do it, we can come closer to the Savior, we can change! We all need to remember to "Take time to be holy, [because] the world rushes on. I invite each of you to share an encouraging quote or scripture with your friends, with those who are struggling or suffering or with those who have the desire to learn how they can use it. 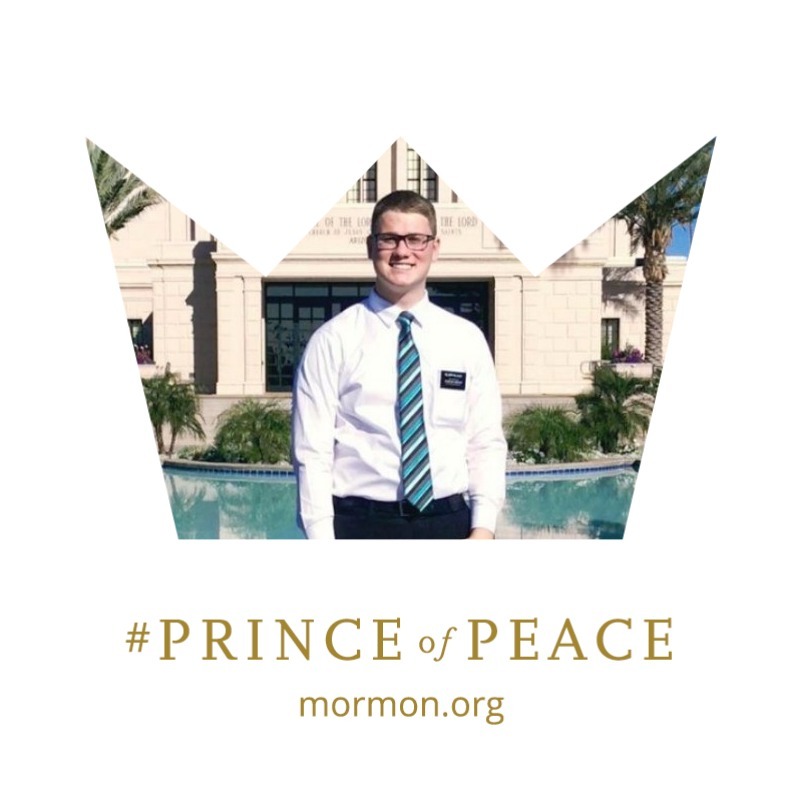 My invitation is also that you may access www.mormon.org and come to know more about my beliefs, I invite you to explore the tools like "Chat with missionaries" and also request your own free copy of the Book of Mormon and Holy Bible. Meu nome é Cláudio Antônio Klaus Júnior, tenho 18 anos e sou de Caçador - SC. Durante os anos de minha missão uso o título 'Élder' então assinarei como Élder Klaus. Sou membro de A Igreja de Jesus Cristo dos Santos dos Últimos Dias e fui chamado para servir uma missão de tempo integral de proselitismo em Mesa, Arizona - EUA. Permanecerei durante 2 anos (a partir de 23/Fev/2016) longe da minha família e amigos realizando um trabalho voluntário, pregando o evangelho e levando mais alegria e paz á todos aqueles que desejarem, ajudando as pessoas a se aproximarem do Senhor. Não vou exercer nenhum trabalho remunerado e tampouco estudar lá. Tenho o único e verdadeiro propósito de "Convidar as pessoas a achegarem-se a Cristo". Neste blog irei registrar minhas experiências como missionário e compartilhar diversas fotos e breves textos sobre este trabalho, tentarei sempre que possível manter atualizado!